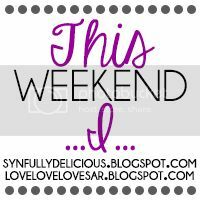 Jodi Bean's Blog: This Weekend I. . .
was VERY, VERY busy. So busy I can't even blog about it all in one post. Here are some highlights! This weekend I. . . went to the Head of the Charles Regatta. Saturday was a GORGEOUS day and I took a lot of pictures so I plan to share a whole post just about the Regatta later this week. It was a lot of fun! 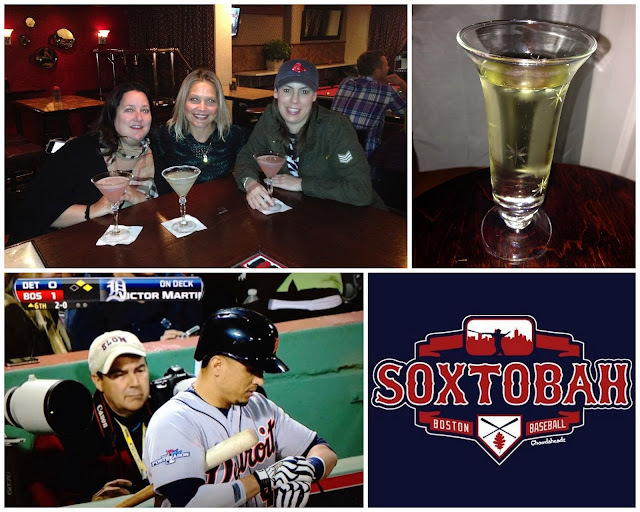 This weekend I. . . watched the Red Sox win Game 6 of the ALCS! Woo hoo!!!! I went to dinner with Jenny and Kandi and we watched the first couple of innings there. We then went back to Jenny's and enjoyed some champagne while watching them WIN! Oh and how cool that one of the photographers was wearing an Elon hat! Go Elon! If you had bet me that there would be two grand slams in this series I surely would have lost. Never in my wildest dreams did I think that could happen. Amazing! Such a great game and I can't wait for the World Series. With everything that has happened in Boston this year it sure is awesome to have something happy to celebrate. The Red Sox are definitely Boston Strong! This Weekend I. . . went to my cousin's baby's baptism. Well technically I only went to the party since the actual baptism was at the same time as another event. . .
Callen slept the whole time I was there so I hardly saw him but my mom sent me these pictures from the church. Callen looked adorable in his baptismal outfit. 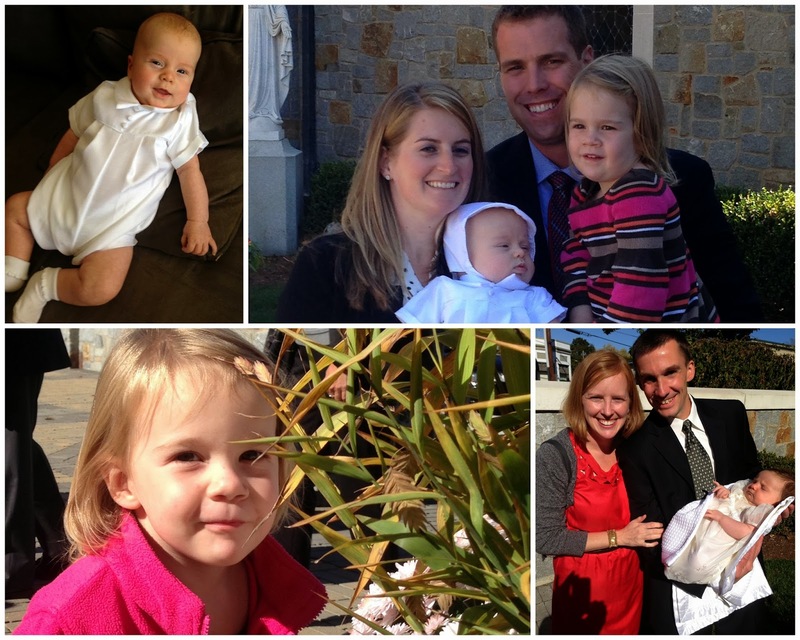 Oh and coincidentally my friend Michelle's baby was being baptized at the same time! This Weekend I. . . went to my co-worker's surprise birthday party! She was VERY surprised. The picture on the left is her pointing to herself and asking "Me?" The picture on the right is when she finally realized it was FOR HER! She had no idea! It was an awesome surprise!!! 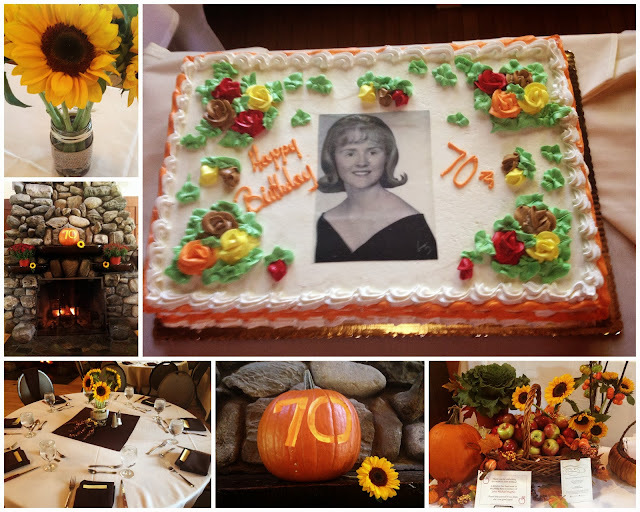 The party was decorated with pumpkins, apples and sunflowers which were just perfect. The fireplace was so pretty and made for a pretty backdrop for all of the people pictures! Some of my friends from work! It was so nice to hang out with them outside of work since when we are working we hardly have time to chat. The scenery around the party location was so pretty. I just love fall foliage and New England has the best. This Weekend I. . . went to MAAV's 18th Annual Walk and Candlelight Vigil. The walk was very well attended and we raised a ton of money. More details to come in a separate post later this week. Oh and I will share something very exciting that happened!!!!!!!
. . . and then I passed out from exhaustion! I seriously can't believe how much I crammed into Sunday. Thankfully all the events were very close to each other. Otherwise it never would have worked. So jealous you went to Head of the Charles- totally slipped my mind! Are those phone pictures or a real camera? Incredible foliage! So glad you had such a wonderful weekend Jodi!! What a jam packed weekend! 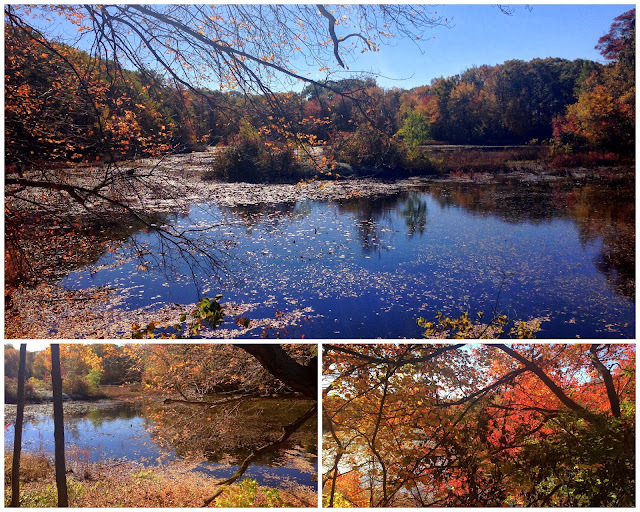 I love New England in the Fall. So excited for the Red Sox!! I love the decor for the 70th party. Man, all those gorgeous pictures!!! Love it! 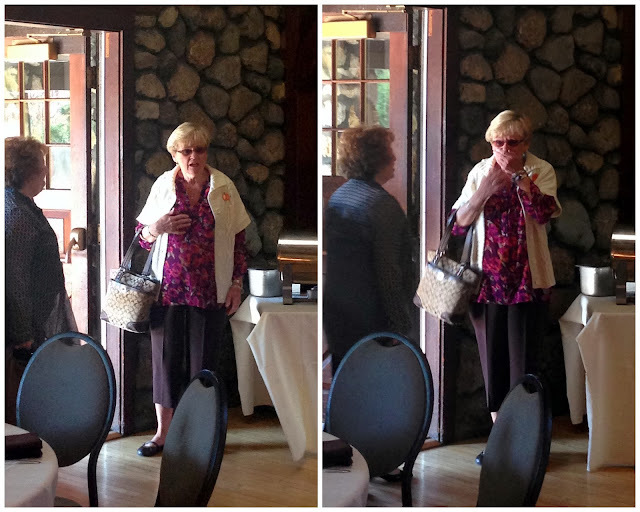 The pictures of your coworker realizing the party was for her made me a little teary! I am happy about the Sox because of my beloved Flyin Hawaiian, Shane Victorino! What a weekend! Your fall pictures are gorgeous! I need to visit Boston asap!!! Looks like a good weekend! You took some great pictures! Chris was at the Sox game Saturday night! Randomly got a call from a friend with an extra ticket that afternoon and off he went. What a great game. You got so much done! And go Sox! Aw I love her reaction - so genuine! Looks like an eventful weekend. 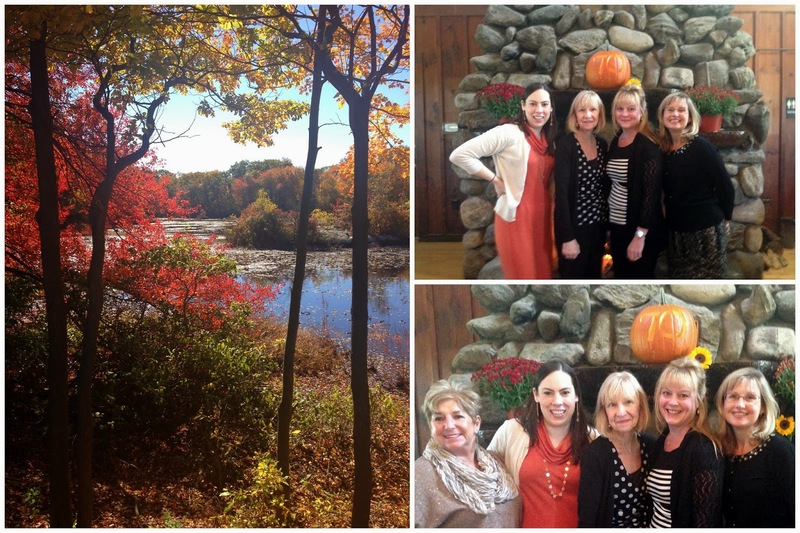 Great fall pics!